Find it hard to get veggies into your kids or your partner? Getting family members to eat the recommended servings of vegetables on a daily basis can be a real challenge. Thanks to www.1dogwoof.com, here is a fun and nutritious collection of ways to boost up your family's vegetable intake. 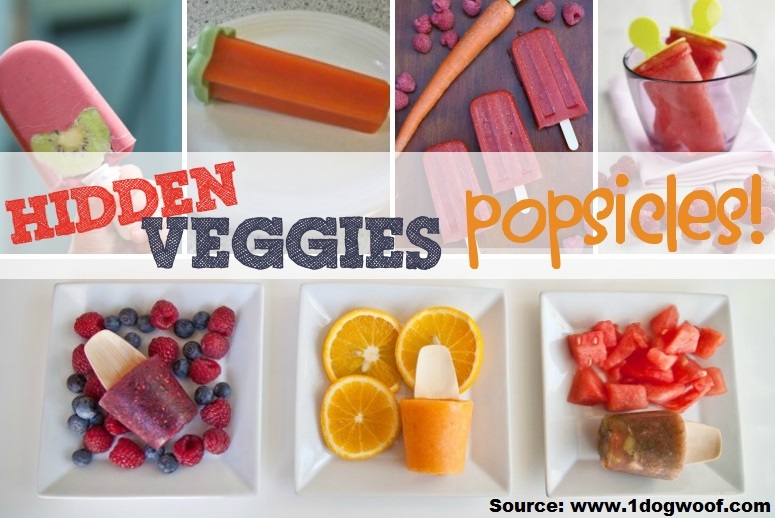 Click on the link below to check out these delicious popsicle recipes made with fruit and vegetable puree.